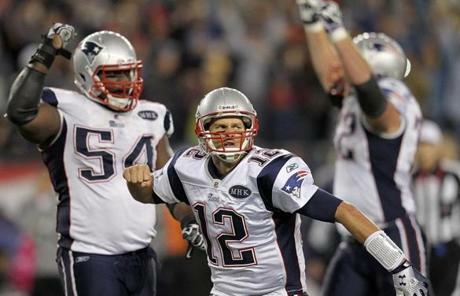 Tom Brady threw a game-winning TD pass with 22 seconds left to power the Patriots’ win. 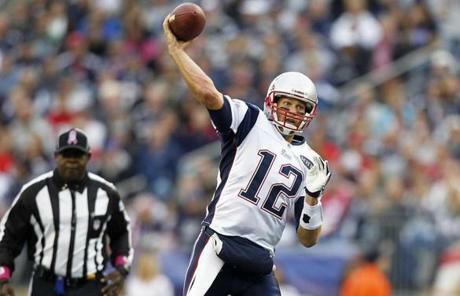 Brady led the Patriots to a 5-1 record as they entered their bye week. 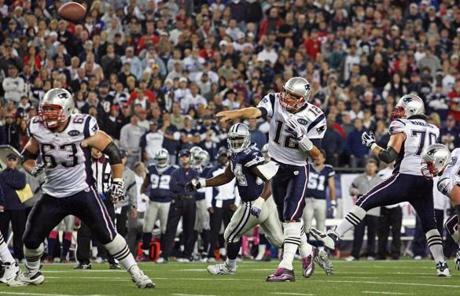 Brady had plenty of time and space to find Aaron Hernandez for the winning score. 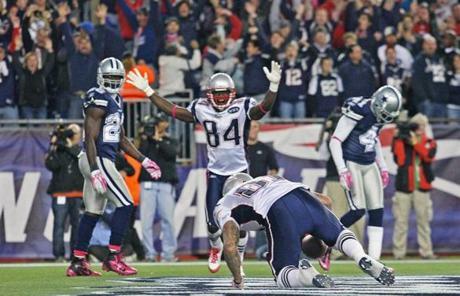 Deion Branch (84) celebrated with Hernandez in the end zone. And Hernandez celebrated the his game-high eighth catch of the contest. Running back Danny Woodhead jumped to a 9-yard gain late in the fourth quarter. Receiver Wes Welker scored on a pass from Brady in the second quarter. 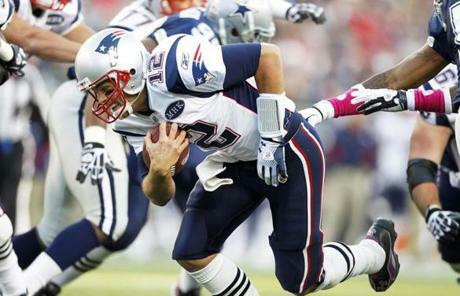 Brady ran the ball for an 8-yard gain in the second quarter. 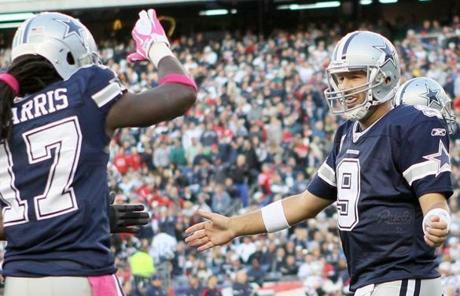 Cowboys quarterback Tony Romo had a touchdown pass, but left town with a 2-3 record. The Patriots had a 13-10 lead at halftime. 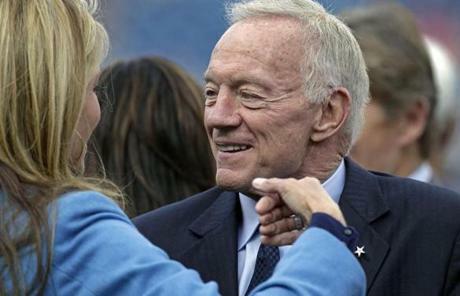 Jerry Jones, owner of the Dallas Cowboys, waited for kickoff. 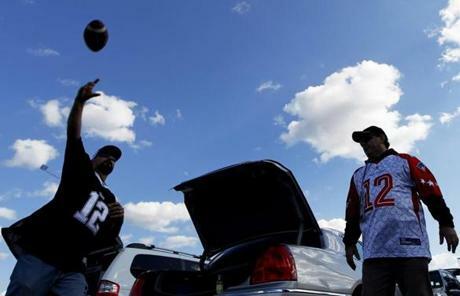 Fans from Manchester, N.H., passed the pigskin around outside Gillette Stadium. 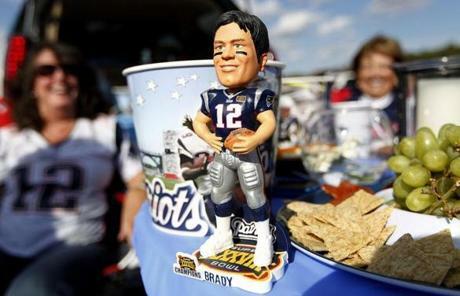 Tom Brady — or at least his bobblehead doll — spent time with fans before the game.